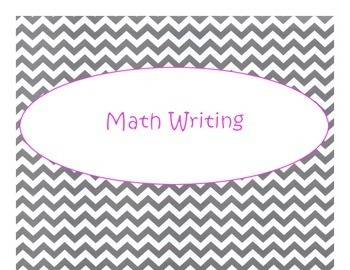 This set includes 3 Daily 3 MATH Bulletin Board Signs (Math by Myself, Math with Someone, and Math Writing) in a Gray Chevron with Hot Pink Lettering Theme. I suggest that they be printed on cardstock and then laminated for longer life. Be sure to check my other products for matching items, including Seasons, Days of the Week, Months of the Year, more Daily 5 Posters, IPICK/EEKK/Three Ways to Read a Book, CAFÉ, Daily 3 MATH and more! This product was inspired by "The Daily 5: Fostering Literacy Independence in the Elementary Grades" by Gail Boushey and Joan Moser (The 2 Sisters). 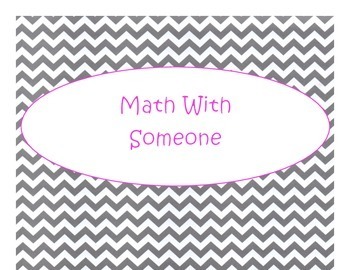 Daily 3 MATH Bulletin Board Signs/Posters (Gray Chevron Hot Pink Lettering) by Rae Marie Livsey is licensed under a Creative Commons Attribution 4.0 International License.